‘A Catholic family of schools providing service and witness to children, their families and the communities they serve. Stronger together, united in faith and working as one to enrich the learning experience of all our young people so that they fulfill their God-given potential’. 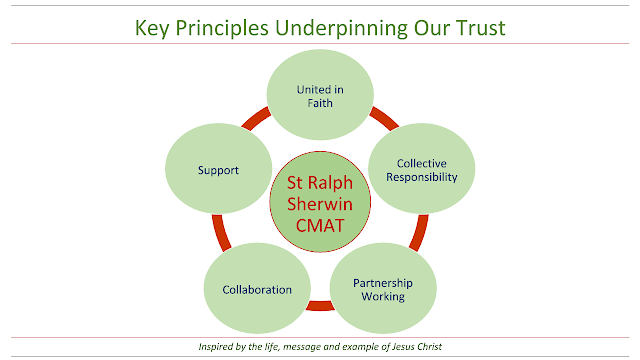 Keeping Jesus Christ at the centre: In all we do including curriculum, spiritual development and how we treat and develop our staff. Educating the whole person: We recognise that each individual is made in God’s image. Pupils are cherished for who they are, as much as for what they achieve and all achievements are celebrated. Focused on Achievement for all: We provide the very best learning, delivered by teachers who are supported to deliver their best every day for our children and young people. 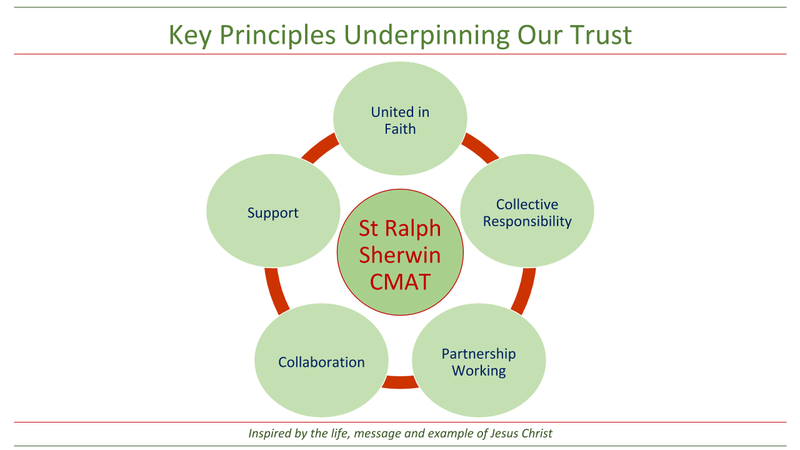 Supporting the common good: We work collaboratively and are committed to working in partnership within the CMAT and with our wider communities. Welcoming and stimulating learning environments: Our schools are happy, safe, caring and inclusive places for all, placing gospel values at the heart of all we do.